An upright Semi - parasitic annual , 2 lipped open mouthed flowers . Most flowers are white to Lilac , some tinged violet , with purple veins or a yellow spot. 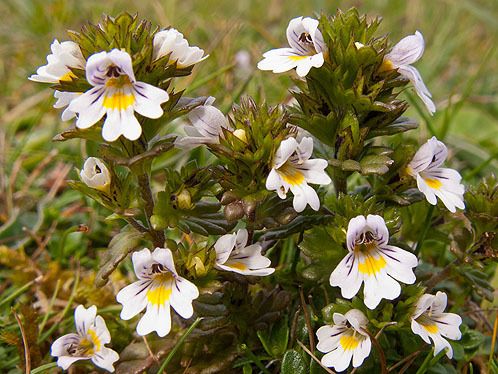 Herbalists use eyebright lotion for treating eye problems .